The holidays can be difficult for people who are going through a divorce, especially children. There may be a lot of pressure to be around family members during the holidays, which can make time sharing between parents difficult. However, in some situations, especially if the marriage had broken down to the point that the couple was no longer communicating, the first holiday celebrated after the divorce can actually be a happier time. 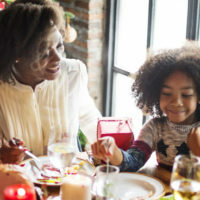 For those who are having a hard time handling the holidays after a divorce, taking some steps can help them ease the difficult emotions for themselves as well as their children, if they have them. Which parent keeps the children during the holidays is usually determined by a court as part of the divorce process. The parents can also come to an agreement that spells out which holiday the children spend with each parent. If the parents think they can handle joint holidays, they can agree to celebrate together, or even share the holiday so that the child spends the actual holiday with both parents. Sharing the holiday or celebrating together does not always work out for all parents. For those parents who will not have their children on a holiday, it is important to keep busy and not be alone during the holiday. This also applies to a person who is going through a divorce without any children involved. Being alone may cause a person to feel depressed or experience other negative emotions. Getting out and finding other people to share the holiday with can help deal with the emotional toll of the holidays. It is also important for a person to take time to do something for herself or himself during the holiday, preferably something that would help take the person’s mind off the divorce and the stress that comes with it. Finding some time to watch a movie, read a book, or engage in a favorite outdoor activity can do wonders to rejuvenate the person. Making new traditions for the holidays can also be a good way to plan for the future. For parents, this could mean celebrating a holiday early or a little later so as to share the holiday with the children. It could also mean taking a trip or volunteering during the holiday. Looking for a way to deal with the divorce during the holidays can lead to a lot of unplanned shopping or spending of money. In some cases, parents can try to compensate by buying the children a lot of presents. If the divorce is not yet finalized, and the marital assets are not yet divided, it is important to keep expenses low because the person may not have as much money available after the divorce as he did before. Making a financial plan on holiday spending and sticking to it can keep impulse holiday shopping at bay. If you are thinking about filing for divorce, and want to learn more about the process before filing, you need to talk to an experienced family law attorney. For more information, contact an experienced divorce attorney at the Media, Pennsylvania law firm Barbara Flum Stein & Associates serving Delaware County in all family law matters.